Mandy Jackson is the US West Coast Editor for Scrip Intelligence. Mandy reports on daily biopharma news and regularly interviews everyone from big pharma CEOs to biotech startup founders about the business strategy behind their finance, dealmaking and drug development news. She also has an interest in drug pricing and novel reimbursement strategies, new treatments in areas of true unmet need, and business development trends. 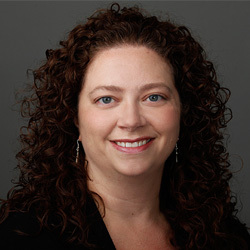 Mandy has been a business news reporter for more than 15 years, covering biotech and pharma companies, biotech law and commercial real estate. She is based in San Diego, California – the venue for many medical and biopharma industry meetings. While some companies rushed into gene therapy and exited after a single setback, Asklepios BioPharmaceutical quietly advanced its programs, identifying challenges and overcoming them one at a time. Now, it's ready to advance multiple programs into the clinic.